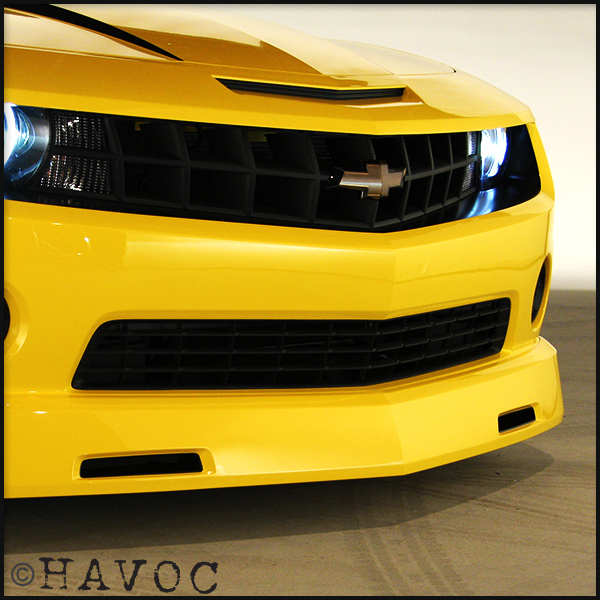 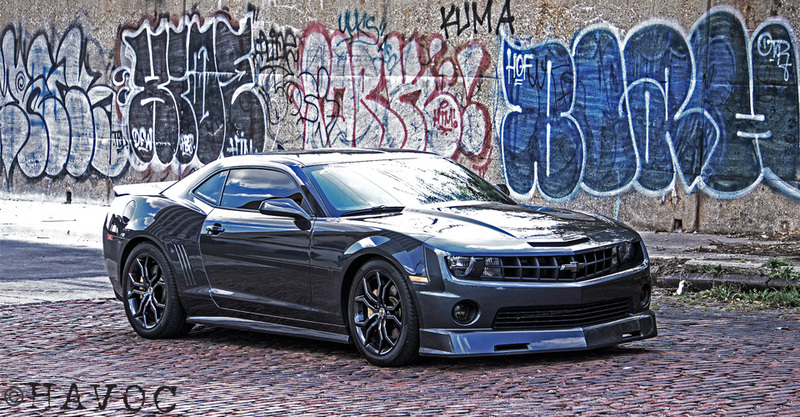 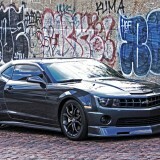 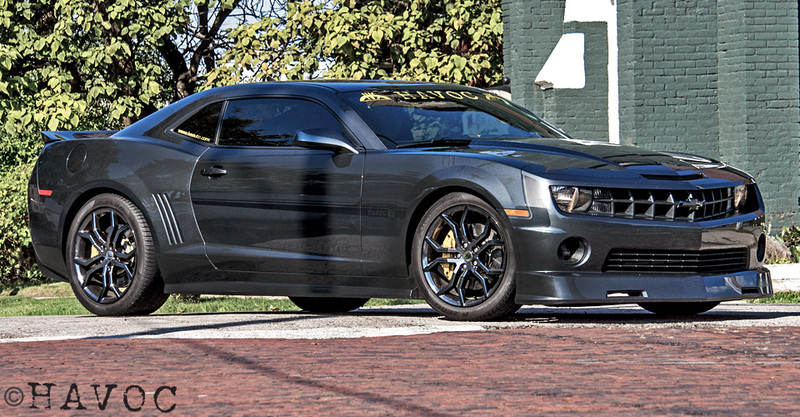 The sharply designed lines of the HAVOC intimidating Front Chin Spoiler meshes perfectly with those of the 2010-2013 Camaro. 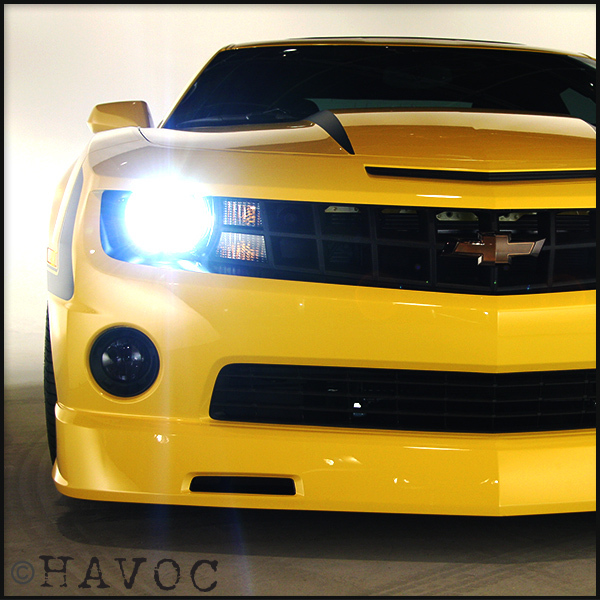 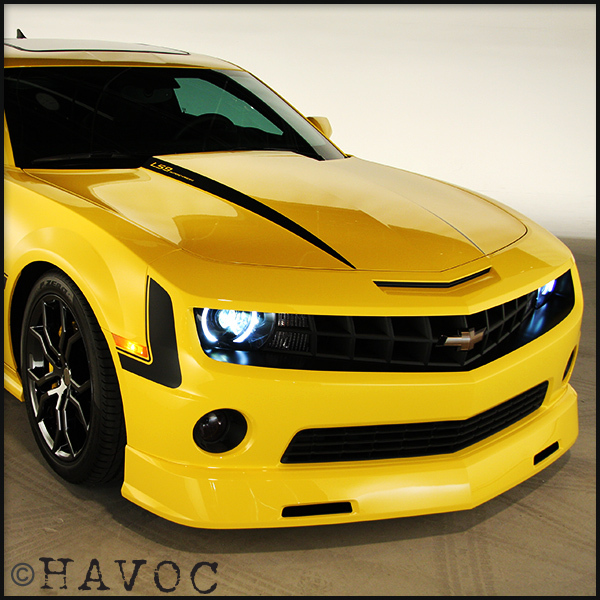 The HAVOC Camaro Front Chin Spoiler features a low and aggressive appearance. 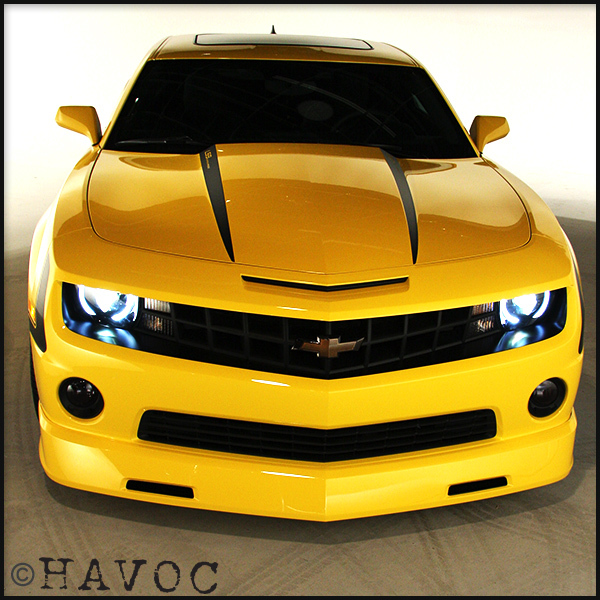 This unique design will improve the aerodynamics and fuel efficiency of your ride, while grabbing eyeballs far and wide. 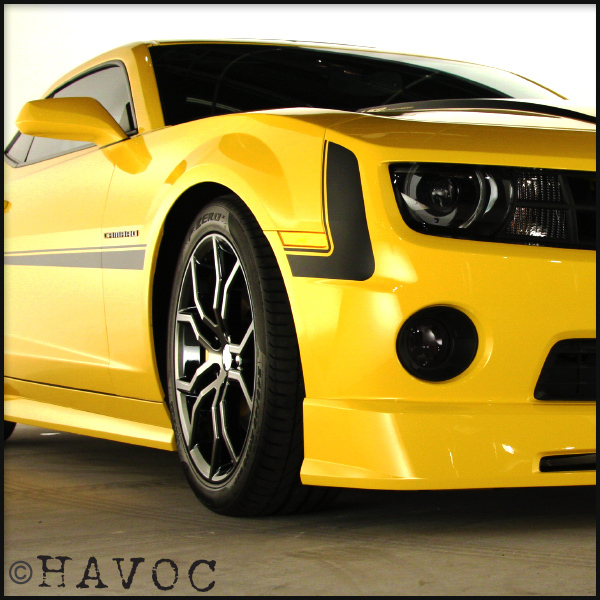 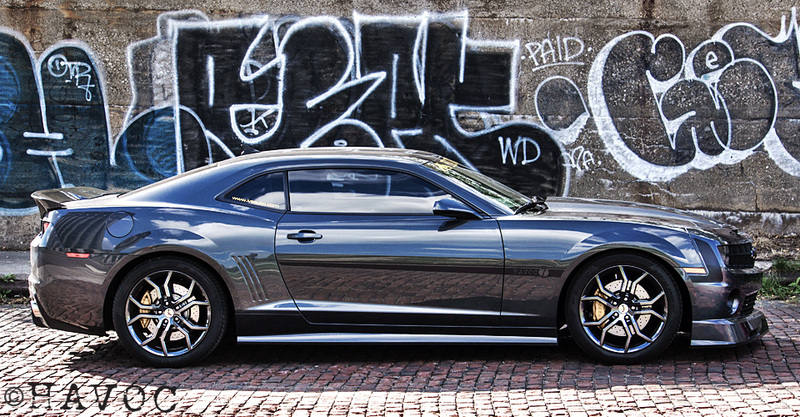 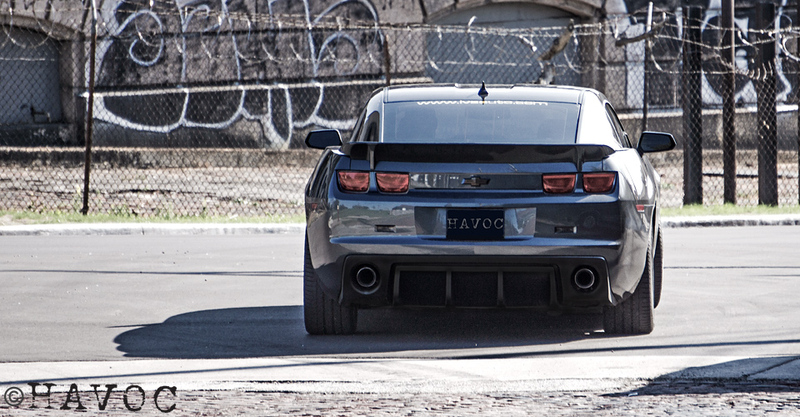 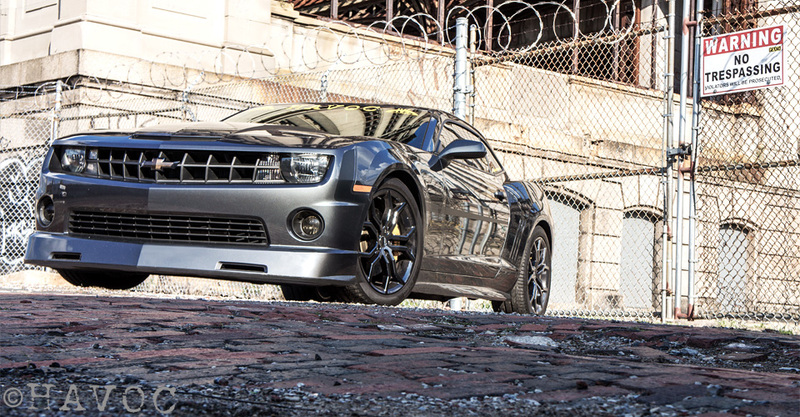 The HAVOC Camaro Front Chin rides 5 inches from road surface and includes lower brake cooler openings. 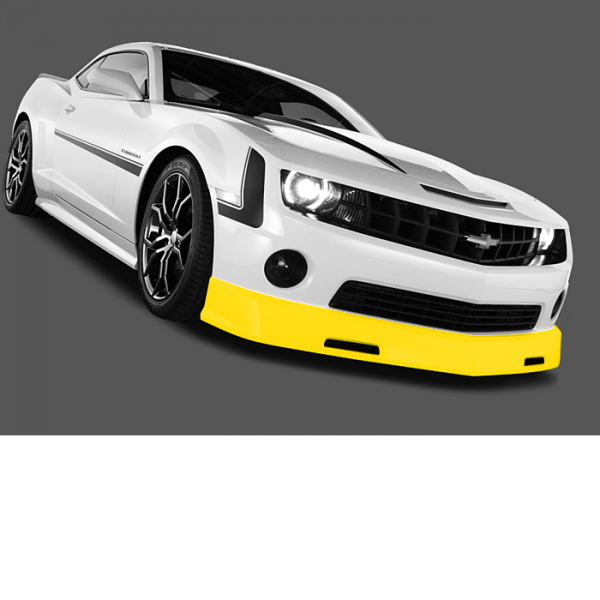 Fits 2010-2013 Chevy Camaro - SS front fascia ONLY! 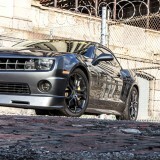 Includes lower brake cooler openings.